Fraud – Is the intentional deception or misrepresentation that an individual knows, or should know, to be false, or does not believe to be true, and makes, knowing the deception could result in some unauthorized benefit to himself or some other person(s). Fraud involves making false statements or misrepresentation of material facts in order to obtain some benefit or payment for which no entitlement would otherwise exist. The acts may be committed for the person’s own benefit or for the benefit of another party. In order to be considered fraud, the act must be performed knowingly, willfully and intentionally. 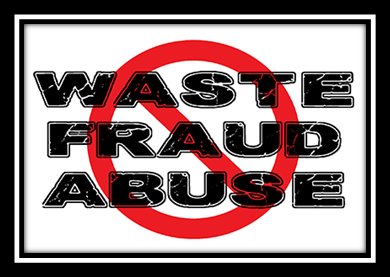 Waste – An attempt to obtain reimbursement for items or services where there was no intent to deceive or misrepresent, but the outcome of a billing error caused unnecessary costs to the involved companies. Waste includes overutilization of services not caused by criminally negligent actions. Waste also involves the misuse of resources. Waste means over-utilization of services, or practices that result in unnecessary costs. Waste also refers to useless consumption or expenditure without adequate return, or an act or instance of wasting. Services that fail to meet professionally recognized standards for health care. 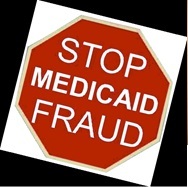 It also includes recipient practices that result in unnecessary cost to the Medicaid and Medicare program. Abuse is similar to fraud except that there is no requirement to prove or demonstrate that abusive acts were committed knowingly, willfully and intentionally. 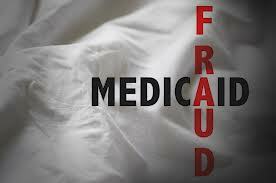 Who is required to take Medical Fraud Waste and Abuse course for Medicare/Medicaid Compliance? Every year billions of dollars are improperly spent because of FWA. It affects everyone – including you. This training will help you detect, correct, and prevent FWA. You are part of the solution. Combating FWA is everyone’s responsibility! As an individual who provides health or administrative services for Medicare enrollees, every action you take potentially affects Medicare enrollees, the Medicare Program, or the Medicare Trust Fund. All Part C and D first tier, downstream, related entities (FDR), including Medicare Advantage organization (MAO) who administer the Part D drug benefit or provide health care services to Medicare Advantage enrollees. Hospitals, Private Clinics, Doctors, Physicians, Nurses, Medical Schools, Medical Students, Medical Office Staff, Dentists, Chiropractors, Physical Therapists, Massage Therapists, Radiologists, Cardiologists, Hospice, Nursing Homes, Home Health, Durable Medical Equipment providers, etc. Which regulations requirements will be met after completing this training? Section 50.3.2 of the Compliance Program Guidelines (Chapter 9 of the “Medicare Prescription Drug Benefit Manual” and Chapter 21 of the “Medicare Managed Care Manual”). How often is this training required? New employees must complete the training within 90 days of hire. All employees must complete it annually thereafter. You will be able to conduct in an ethical and legal manner. Prevent: Operate within your organization’s ethical expectations to prevent non-compliance! Detect & Report: If you detect potential non-compliance, report it! Correct: Correct non-compliance to protect our members and save money! What is a Compliance Plan? Students can buy 1.5 CE credits certificate for this course at the time of registration. You will receive one CE credit for this course through Approved Provider of California Board of Registered Nursing after completing the course. Email us now at Bob@supremusgroup.com or call (515) 865-4591 if you have any questions about this course and who should take this course.